A top European oil boss who rejected calls to restore Cold War barriers against trade with Russia has been killed in a crash at Moscow's Vnukovo airport, after attending a Russian government-hosted investors' conference in Gorki, and within hours of meeting Russian prime minister Dmitry Medvedev on Monday. Christophe de Margerie's corporate jet was taxying to take off late on Monday night when it collided with the airport's snow plough and then burst into flames. Fire engines extinguished the blaze but all four people on board the plane were killed. Early reports said Russian investigators accused the snow plough driver of having been drunk. But the driver denied this, saying he did not drink, because he had a heart condition. Airport authorities are investigating further, and the 'plane's black box has not yet been examined. 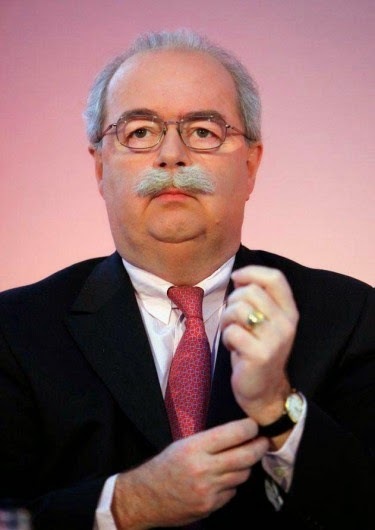 Christophe de Margerie, 63, had been chief executive of the French Total oil company, third largest in Europe, since 2007. A statement from the office of French President Francois Hollande said: "Christophe de Margerie dedicated his life to French industry and to building up the Total group. He made it into one of the very top global companies. It said President Hollande valued de Margerie's independence of character and devotion to France. Russian President Vladimir Putin sent his condolences. Tass quoted a Kremlin spokesman as saying: "The President highly appreciated de Margerie's business skills, his continued commitment to the development of not only bilateral Russian-French relations, but also on multi-faceted levels.". Chatty and blunt, De Margerie didn’t hide his conviction that Peak Oil was a fast approaching reality, insisting at the time that the world’s producers would be hard pressed to ever grow past 95 milli on barrels per day. He may have revised that number upwards a bit in recent years, considering the booming development of tight oil in the United States, but his dogma remained the same as then: “There will be a lack of sufficient energy available,” he said. Because of this belief, De Margerie was tireless in grabbing new oil and gas opportunities for Total — while they were still available. De Margerie ventured out from Total’s headquarters in La Défense, the west Paris business district, to woo a who’s who of presidents, prime ministers, strongmen and dictators in places like Iraq, Iran, Uganda, Equatorial Guinea, Yemen, Angola and Burma. But none of De Margerie’s relationships have been more important than with Russian Prime Minister Vladimir Putin. Sometimes he may have even crossed the line. In March 2007, a month after taking over as CEO, De Margerie was hauled in by French authorities for 36 hours of interrogation over a $2 billion deal with Iran in 1997 to develop its massive Persian Gulf gas field. In a 2007 interview with Petroleum Intelligence, De Margerie confirmed that he authorized payments of $40 million (for consulting and lobbying efforts) to middlemen–allegedly associates of former Iranian president Ali Akbar Rafsanjani and his son. When Iran is someday welcomed back into the brotherhood of nations, you can bet Total will be ready to build it some LNG projects. Because De Margerie was such a wildly effective dealmaker over the past decade, he leaves Total in an enviable position. The company has arguably the best portfolio of development projects among the super-majors, with particular emphasis on deepwater developments in Angola. Despite some delays completing error-prone megafields like Kazakhstan’s Kashagan, these new ventures are ready to goose Total’s output significantly. Total will likely add 500,000 bpd of production by the end of 2017, outstripping all the big European oil companies by a long shot and resulting in 2.8 million bpd of production by then. Free cash flow is expected to blossom from $3 billion last year to $8 billion in 2015 and $15 billion in 2017. Bernstein Research analyst Oswald Clint, in a research note last month, called Total his favorite stock pick among the European super-majors. He said tensions between the west and Russia were pushing Moscow closer to China, as illustrated by a $400bn deal to supply Beijing with gas that was clinched in May. Total is one of the major oil companies most exposed to Russia, where its output will double to represent more than a tenth of its global portfolio by 2020. Total is one of the top foreign investors in Russia but its future there grew cloudy after the 17 July downing of a Malaysian passenger airliner over Ukrainian territory held by pro-Russian rebels. The disaster worsened the oil-rich country’s relations with the west and raised the threat of deeper sanctions. Total said in September that sanctions would not stop it working on the Yamal project, a $27bn joint venture investment to tap vast natural gas reserves in north-west Siberia that aims to double Russia’s stake in the fast-growing market for liquefied natural gas. De Margerie said then that Europe could not live without Russian gas, adding that there was no reason to do so. Christophe de Margerie is not the first European oil company boss to die in a plane crash after stepping out of line with the other, particularly American, oil interests and Western policy, and pursuing national economic independence though trading with the Russians. 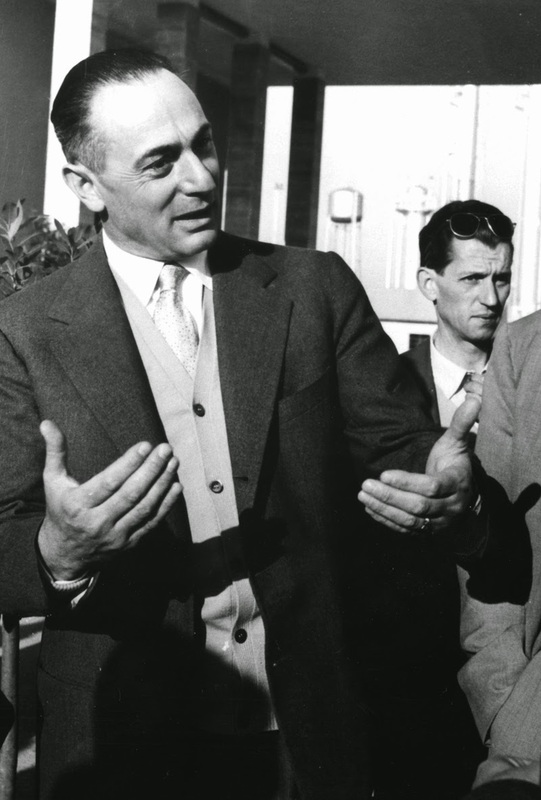 In Italy, Enrico Mattei, who was put in charge of the state-owned AGIP corporation after the liberation decided that rather than break it up among private companies, he would expand and reorganise it to develop natural gas resources for Italian industry and reduce dependence on imported fuels. ENI, as it became, Ente Nazionale Idrocarburi (ENI), went on to negotiate important oil concessions in the Middle East and a major trade agreement with the Soviet Union. Mattei also pioneered the policy that oil-producing countries should receive three quarters of the revenue. Although his politics were Christian Democrat, Mattei openly set out to break the grip of the 'Seven Sisters', the major oil companies of the world. He angered NATO, the US government and its agents within the Italian state when he went to Moscow in 1959, ignoring the Cold War to broker a major oil deal with the Soviet Union. He further upset European colonial powers, particularly the French, ironically, by showing sympathy for independence movements and offering more generous terms for oil extraction than the big companies usually did. On October 27, 1962 on a flight from Catania (Sicily) to the Milan Linate Airport, Mattei's jetplane, a Morane-Saulnier MS.760 Paris, crashed in the surroundings of the small village of Bascapè in Lombardy. All three men on board were killed. The authorities said it was an accident. Many people suspected otherwise, and there were reports that evidence had been destroyed. On October 25, 1995, the Italian public service broadcaster RAI reported the exhumation of the human remains of Mattei and Bertuzzi. Metal debris deformed by an explosion was found in the bones. There is speculation that the fuse of an explosive device was triggered by the mechanism of the landing gear. In 1994 the investigations were reopened and in 1997 a metal indicator and a ring were further analyzed by Professor Firrao of Politecnico di Torino and explosion tracks were found. Based on this evidence the episode was reclassified by the judge as homicide, but with perpetrator(s) unknown.